Like the spine, your shoulders, elbows and wrists are designed for flexibility and mobility, and just like the spine, these joints can become stiff or even out of alignment. Shoulder and wrist pain can be the symptoms of problems associated with the neck affecting the nerves that radiate into the arm. This can interfere with normal mobility and functioning of the associated ligaments and muscles. Common symptoms include shoulder pain, arm pain, elbow and wrist pain. At Shine Chiropractic we commonly see people with numbness and/or pins and needles in the arm, which is often caused by pinched the nerves in the neck. This can cause significant pain or discomfort and if left untreated can cause loss of function and affect a person’s quality of life. Nearly every joint in the human body can be prone to dysfunction which in turn can interfere with normal bodily biomechanics. The extremities of the body are no exception. Trauma and/or repetitive stress in joints such as the shoulder, elbow and wrist can exhibit pain, numbness, tingling or weakness, which can result in serious functional problems. One such condition is Carpal Tunnel Syndrome. This is where the nerves in the wrist can be compressed by irritated ligaments, or small bone misalignments that form a tunnel in the wrist. Chiropractic offers a non-invasive effective treatment which has been shown to be effective in the management of carpal tunnel syndrome, and other repetitive stress or trauma injuries. The shoulder region is influenced by structures in the neck and mid-back as well as the shoulder. Nerves from the neck travel through the bones in the spine into the arm to supply nerves, tissue and bone. One of the most common problems associated with shoulder pain is rotator cuff injury. This is where the rotator cuff muscle becomes damaged or even tears. It's often that shoulder problems are caused by neck problems, so it is important that both the whole spine and the shoulder are checked when being assessed. Common symptoms include shoulder pain, decreased shoulder mobility and numbness. At Shine Chiropractic we can assess and treat shoulder injuries and pain. Without the full function of our hands and wrists the daily tasks we take for granted can suddenly be badly affected. While some problems may be associated with the misalignment of bones in the wrist pinching nerves, some of the symptoms could be coming from the elbow, shoulder or even spine. If you are suffering with Carpel Tunnel, pins and needles in the hand, joint stiffness, shoulder pain, or wrist pain, call us today and schedule an appointment at our Lewisville Chiropractic office. 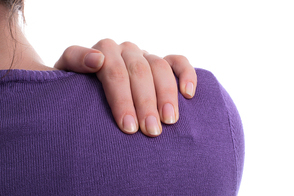 As a Lewisville Chiropractor, Dr. B helps Patients all over DFW with Shoulder and Wrist pain. Don't let another day go by without getting pain relief from your Shoulder and Wrist issues!